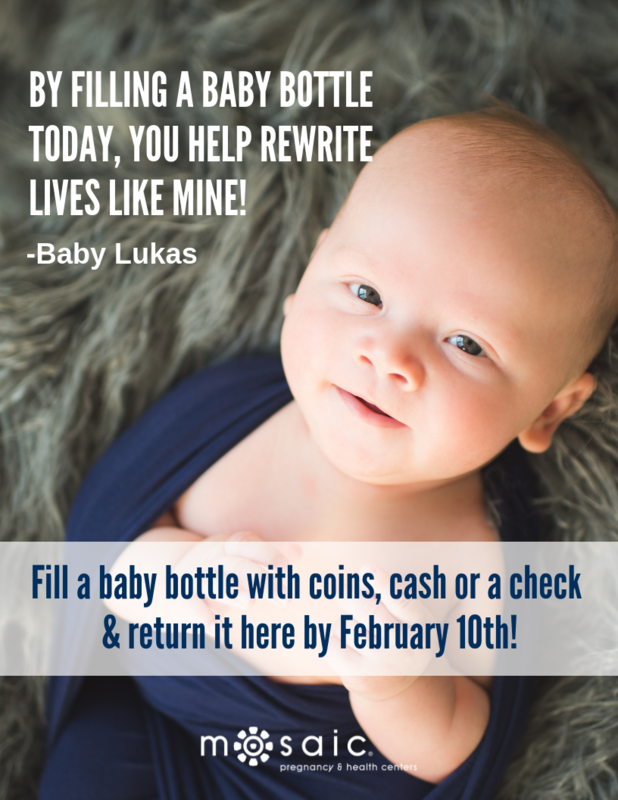 This January, we celebrate the Sanctity of Human Life Month by hosting our annual Baby Bottle Campaign! Mosaic PHC provides a wide variety of free pregnancy & health services that help women value their life and the life of their babies. 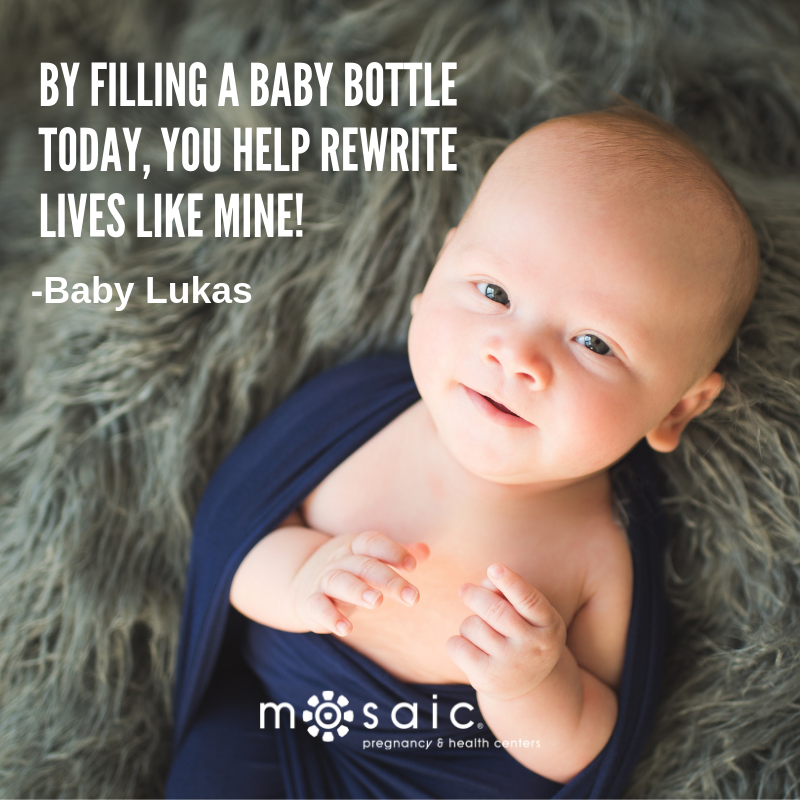 When you financially support Mosaic Pregnancy & Health Centers through the Baby Bottle Campaign, you help women experience compassion, support and Jesus’ love that truly rewrites the direction of their lives. 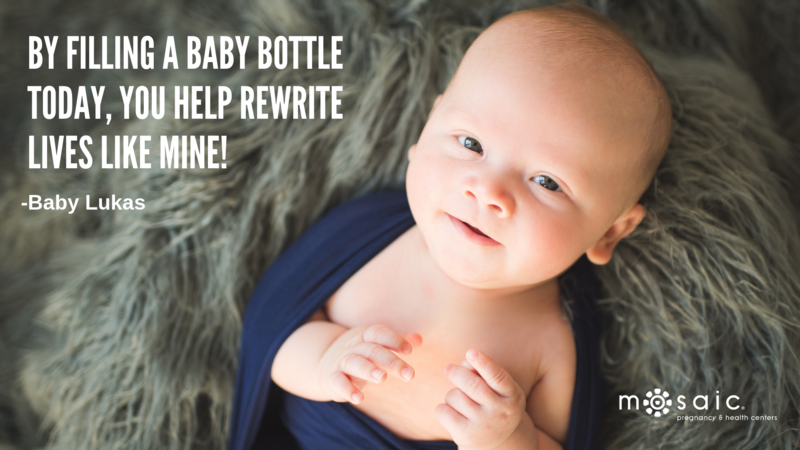 Join us in our commitment to new life by picking up a baby bottle and filling it with coins, cash or a check to support the ministry of Mosaic Pregnancy & Health Centers. Thank you!